As you can see, even within the confines of PGA Tour-level golf, distance matters to scoring. Knowing the importance of distance, I’d like to share with you a three-part series on some of the ways you might get more distance in its application to you playing better golf. The series will take cues from the longest hitters on the planet, competitors in the World Long Drive Championships. We’ll also draw my own personal experience of competing in 2003, 2006, and 2007 with a competitive long drive of 421-yards and peak club head speed in the low 140s, my experience being the go-to-guy for swing speed training as well as a Top 100 Most Popular Instructor, and the many conversations, interviews, etc., I’ve had with the top long drivers in the world via Swing Man Golf. Specifically, the three areas we’ll look at are technique, equipment, and golf fitness. Let’s get started with Part 1: Technique. From a swing technique standpoint, these are some of aspects of the golf swing that you may wish to consider employing in your golf swing. Although you can integrate some of these swing aspects on your own in to your swing, I should caution you in doing so. Generally, I’d recommend working with a qualified professional, whether they are a PGA Professional or not, and/or someone who has the specific knowledge and experience with helping you achieve whatever is your specific goal. For example, one of our Swing Man Golf experts is Adam Young, whose GolfWRX articles you can read here. Adam knows more than any other instructor I’ve ever come across regarding practice and learning within the application to and confines of playing golf. He’s a smart guy. Or if you’re in the UK, you might work with someone like Lee Cox, who coaches numerous long drivers, including two-time World Long Drive Champion Joe Miller. First, let’s look at setup. I’ve written about this previously in more detail in this GolfWRX article, but basically, I advocate that most golfers should open up their lead foot up a bit toward the target. Most people are a little more flexible turning their feet outward than inward. So, if you set up in this manner, you’ll probably still be able to make a sufficient length back swing, but you may then be able to fire through the ball a bit better while keeping balance and minimizing the risk of injury to your lead knee, lead hip, etc. On a side note, this is a good place to briefly mention stance-width. 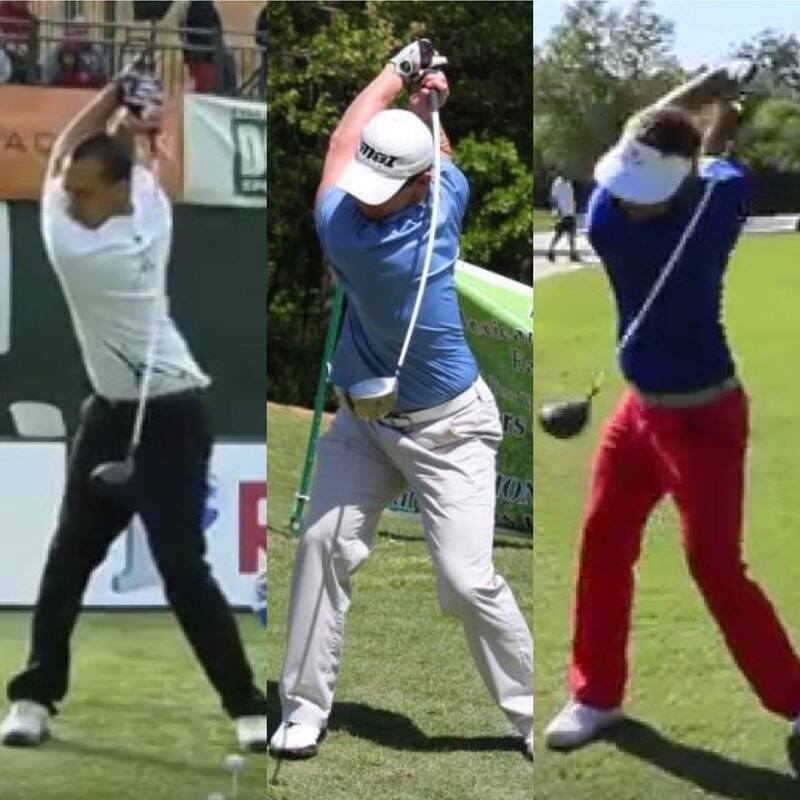 Many long drive guys stand so wide that it similarly compromises their balance (and thus ball-striking). It also exposes them to potential injury. If you open your rear foot as I did in the picture above, that’s a pretty good width. 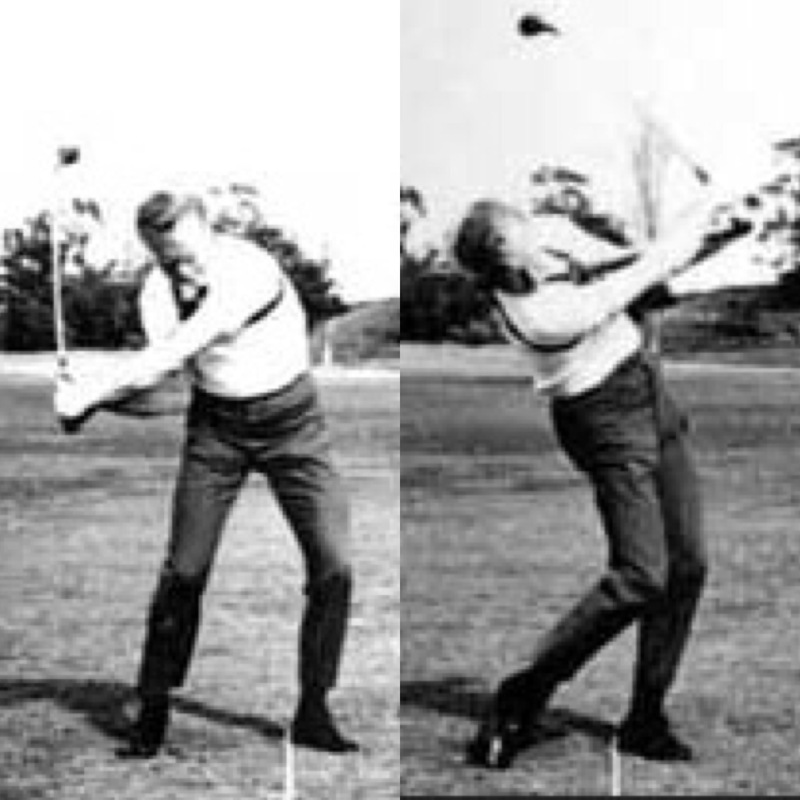 John Daly, Mike Austin, and Sam Snead are also good examples of not going so wide that they lose balance. If you want to hit it farther, it’s often best to employ a “strong-looking” grip. I say “strong-looking” because it’s possible that you could turn your lead arm in your shoulder socket such that from a face-on viewpoint the grip looks strong, but the wrist position is still neutral. It would only look strong in 2D because of how your arm is oriented in your shoulder socket and not because you turned your hand. 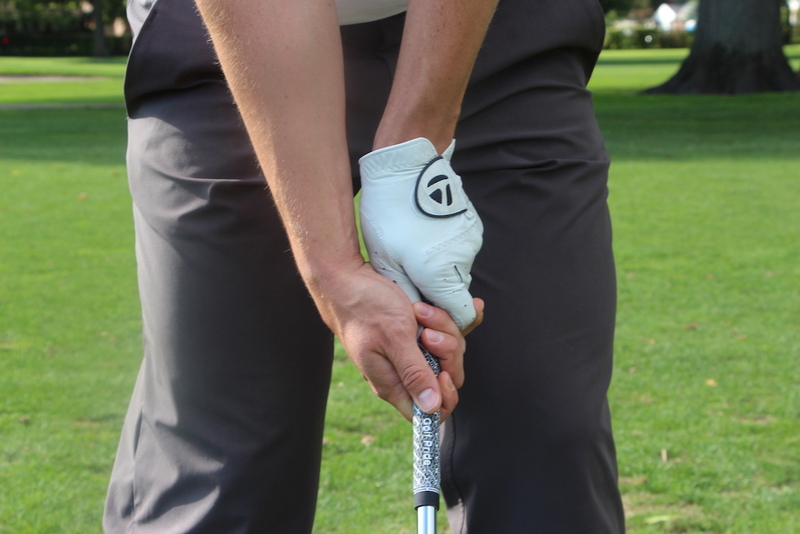 In any case, a strong or stronger grip can help you get the club head get back to square at impact when swinging fast. It can also can simplify the back swing and downswing by eliminating a level of pronation and supination (wrist rolling) needed to get the club face in a good impact position. 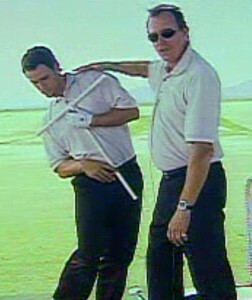 You can learn more about actions of the wrists and forearms in one of my previous GolfWRX articles here. With a strong-looking grip, you can simply make a simple chopping motion (ulnar and radial deviation) with your lead hand back and down to impact… and either a chopping motion or throwing motion with your trail hand depending on whether that trail hand grip has a strong or neutral-looking grip, respectively. Often, if you hear announcers and instructors saying that someone’s club face is “closed” or “shut” at the top of the back swing (I’m not really a fan of these terms, but that’s for another article) from a down-the-line viewpoint. 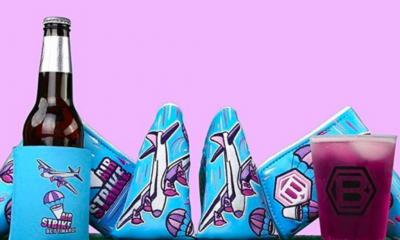 It may be an indication that the golfer set up with a strong looking grip. On the PGA Tour, think of guys like Ryan Palmer or Boo Weekley as examples of this. If you look at average backswing length, long drivers will have a longer backswings than tour players, who will be longer than amateurs. Check out this picture of professional long drivers Ben Tuaone, Patrick Hopper, and Jim Waldron of Tour Striker from left to right. Those are some long swings! Jim not only gets the club past parallel relative to the ground from this viewpoint, but he is past perpendicular! Amazing! Being able to swing this long doesn’t necessarily mean you will hit the ball all over the planet. I recall that in one previous study that I did, about one-third of PGA Tour players take the club past parallel. You can be an excellent ball striker and still have a long backswing. The most popular example is probably John Daly, who has had a great golf career employing a very long back swing. Recently, I had the opportunity to caddy for Andre Bossert in the Senior PGA Championship, and we played the final round with John. His speed isn’t quite what it used to be, but the length of his backswing still helps him be as long as anyone in his peer age group. Being able to swing longer with control fits more in the category of golf fitness, so we’ll cover that in the Part 3. That being said, if you want to lengthen your backswing without going through the golf fitness work, one way is to allow your trail leg to straighten in the backswing and let your lead heel come off the ground with an everted lead ankle. 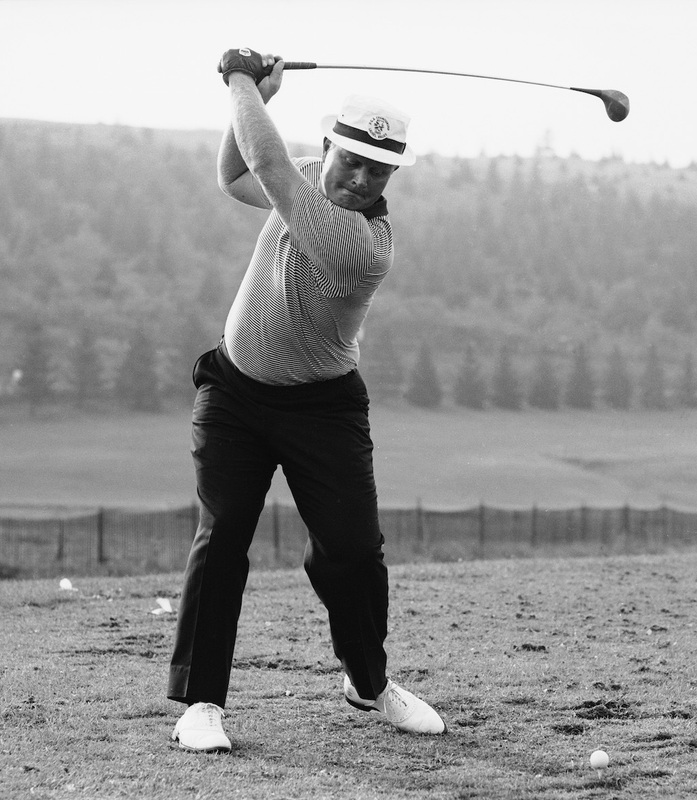 You’ll see this in older swing styles, most notably with Sam Snead. Swing this way basically lets your hips turn farther back, which lets your upper body turn farther back. That lets the backswing lengthen, which can lead to longer drives. As TPI has also noticed, long hitters tend to have very high hands at the top of the back swing. Personally, I’ve always tended to have more of a lower-handed, flat backswing, but I can tell you I can swing faster from a higher-hand position at the top of the backswing. I didn’t fully realize this until one day I was messing around on Kenn Hundley’s Long Ball Trainer (formerly the Golf Swing Emulator), which is basically a gym machine you can use to make weighted swings. I made my normal flat swing and was able to pull a certain amount of weight around my body in the downswing down to impact. After Kenn adjusted the tilt of the machine so my hands had to be higher at the top of the back swing, I could pull much more weight “down” in the downswing versus “around” with my normal flatter swing, which makes sense because you get a gravity assist. Sure enough, I tried the same higher-hands motion with my driver and my speed went up. Parametric acceleration in the golf swing basically means that in the downswing, prior to and through impact, you provide an upward pulling force to the club, and this can then give the club a bit extra whip through impact. You can do this in several ways. For example, you might pull with your lead arm so that it’s bent at impact. It generates sort of a chicken wing look like you see with two-time World Long Drive Champion Jamie Sadlowski. 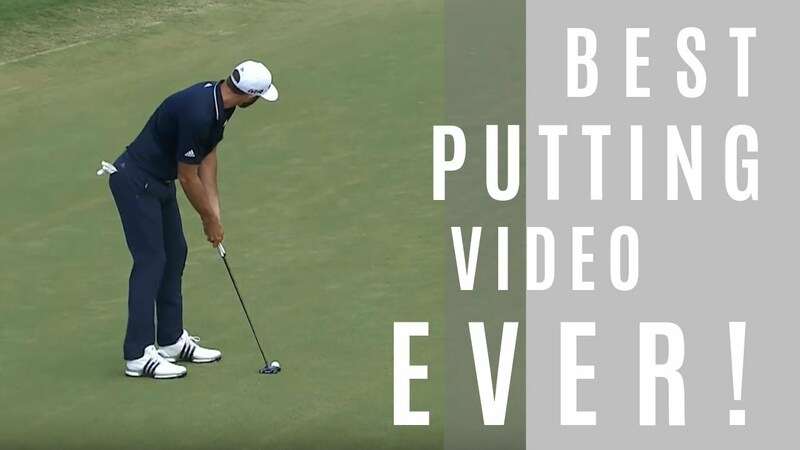 Another way is the two-foot “jump” through impact that is professed by some, and you’ll see that a bit in long drive when golfers are literally off the ground with both feet. On force plates, the pressure measurements go dark because the guys are airborne. I don’t really like either of these movements, though, because I think they are hard to control and they mess with the low point of your swing, which makes good, consistent ball-striking more challenging. If a person is already functional doing either of those, fine, but I wouldn’t advise intentionally trying to incorporate either one. My preferred way is a one-foot “jump” with a simultaneous tuck, or side-bending, of the trail side. In the downswing, as you get shifted over to your lead side, you push the lead shoulder up using your lead leg (but without jumping off the ground). At the same time, you crunching your trail side and bring the trail shoulder downward. From a face-on view in 2D, it might look like the taboo Reverse-C position that we are supposed to stay away from, but in 3D it’s side bend. Once you get through the ball, you can stand up. There’s no need to have any dramatic back bend. Plus, this combo move helps preserve the relationship of your C7 vertebrae to the ground, which dictates where your low point is located while still allowing you to use your legs to leverage power to the golf ball through your spine and take advantage of parametric acceleration. The last thing I’ll mention in Part 1 is the amount of hand “hit” you see with golfers who drive the ball long relative to their size (think of the small golfer who hits it far). This is also true of golfers who are long hitters but don’t look like they’re swinging fast like Fred Couples or Mike Austin. Note in the photo above of Mike Austin that his arms move only about 180 degrees in this photo, yet the club moves over 360 degrees in the same amount of time. There’s no trying to hold off the release in order to maximize compression. Rather, this is some serious hand slap! I remember when Mike was in his 90s before he passed away, he would do this thing where he had me hold out my hand and he’d move his left arm through the range shown above and slap my outstretched hand. The first time would be “holding off the release,” and it felt like someone was giving me a soft, low five. The second time would be with some wrist flick and, man, that would sting my hand! That’s the kind of hurt that can be put on the ball. Let me clarify my 21% Kinetic Energy boost for a 10% clubhead speed increase. At the end of the golf swing kinetic chain we have the clubhead velocity at impact. Since the 0.5 mass of the clubhead is constant the KE is directly proportional to the velocity change squared. To get the increase in KE for changes in velocity you simply square ratio of the speed change. So, a 10% velocity increase is “1.10” squared, or 1.21 and a 21% KE increase. A 5% speed increase is “1.05” squared or ~1.10 and a 10% KE increase. To swing from 80 mph to 100 mph is a 25% increase and ~56% KE increase! Assuming you can swing accurately at any speed the question is how can you increase clubhead speed requiring disproportionate KE increases. 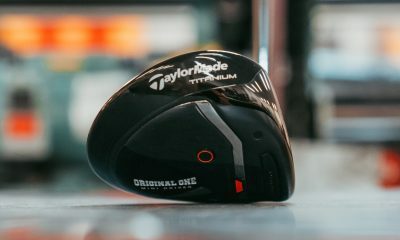 yall got it all wrong… just go buy the latest taylormade driver. Havent you heard? It’s 17 yards longer than the R15 which was 16 yards longer than the Jetspeed. The jet speed was 19 yards longer than the SLDR which was like 24 yards longer than the R1. I’ve already picked up over 100 yards just on equipment change alone. And now put a 50 inch Kuro Kage shaft into those driver heads and you will hit even further. Great. I’ve lost 12 MPH driver speed in 2 years just because I changed most of what you’ve written about in order to hit more fairways. I keep it on the short stuff more often now, but score 2-3 shots higher as I’m hitting longer clubs into greens. Ha, I know the feeling. I tried the same thing a number of years back. The good news is you can change back. You’ve done it before, so it can be easier to find again when you’ve been there before. Or if you like the new technique and want to keep all the things in your swing that give you greater accuracy, if you haven’t done it already, you could optimize your driving launch conditions (launch angle and spin rate per your club head speed with equipment to support it) to help make some of that up. Then there is swing speed training. In that way, there are no technical changes that have to be made but you raise your body’s ability to produce speed. It’s very possible to cover that 12 mph in about a month of training. More on that in Part 3 of this series. Can you still maintain control of the clubface after gaining 12 mph with swing speed training? I was able to rather quickly raise my driver swing speed by 10 mph but the shots were wild. I had to dial back. My question is what do you have to do to maintain face control after developing a new faster golf swing? Thanks. Although, I’d be curious to know what you were doing to raise your speed by 10 mph. If it was something technical it’s possible you added a power component and didn’t incorporate a necessary accuracy component too. Something along those lines. Generally speaking, I think technical changes can be more difficult to get comfortable with. The fitness changes (coming in Part 3) are easier. In fact, I find that often times as the weeks of training go on, golfers strike the ball better because of the added attention to the body and improving balance, strength, coordination, etc…as well as the mental mind/body mapping of how one’s swing works as well. Perhaps you were working over your tipping point as well. In my testing, golfers can handle about 92-95% of their maximum speed before starting to lose control of their golf ball. So maybe you really only increased what your body is capable of by 5 mph, which you could’ve handled, but were swinging above your threshold to get the extra 5 mph. Parametric acceleration is Newtonian physics terminology. And jumping off the ground through impact is like tennis players jumping on their serve, which is essentially 180º apart from that of golfers. If you stay on the ground you have a “closed” kinetic chain of events and if you jump up you have an ‘open’ kinetic chain situation. In tennis the ball comes down to you on the serve while for golf the ball is stationary and you jump away from it. Sounds acrobatic but it happens to add to your force vectors at impact. Different biomechanics for each swing style. Here’s some interesting physics that you may appreciate. To increase your swing speed 10%, say from 80 to 88 mph, you must generate an additional 21% Kinetic Energy at impact. That’s scientific fact. So how can you generate a massive 21% energy increase that you can control? Trying harder is not the answer. Can you give us some encouraging and revealing hints, Jaacob? Talk about physical energy flow instead of just postural swing images. Thanks. But shoulder torque whips the lead arm around while the trail arm is only extending outward for only the latter half of the downswing. If you can’t rotate your shoulders quickly the arms become rather impotent. Perhaps with your limited body rotation you are still accelerating your body more quickly over a shorter angular distance. IOW you are vigorously jerking your body around to maintain fast shoulder rotation and resulting faster arm speed. The arms on their own are not a “power source” even though they are moving fast and feel strong. The true power source is from your body from the shoulders to the feet — scientifically speaking — and the arms and club just flap around the body. Watch this on a youtube video and you will see that happening. My handicap is not bad and around +10 or +12 strokes. Increasing swing speed is really hard for the majority of us, no ? How can I reach 105/110 mph? And I am 43… ???? I think I have something that could help you. Send me a PM if you like. Increasing swing speed can be difficult if you don’t know what to do. But armed with some good knowledge, motivation, and a little elbow grease over time, the sky is the limit to what you can add from a club head speed standpoint. At Swing Man Golf, it’s really common to pick up 12-16 mph (30-40 yards) in a month. We’ve had a number of more dedicated members add on over 30 or 40 mph. If you assume 2.5 yards/mph, that’s 75-100 yards. One guy I recall was in the mid to low 90s and he got himself all the way up in to the 130s. Another started in a similar position and got up in to the 140s. Both started competing in long drive. And the age doesn’t matter. I’m similar to you in age in that I’ll be 42 in January. A couple years ago, my speed had fallen all the way back down to 105 mph from being busy and not playing and training. So I put in about 3-4 months of hard work in the gym and got myself back up to a max of 133 mph with a 200 mph ball speed. The 3rd article in this series will get in to more of the golf fitness aspects of distance. You increased your swing speed about 10% (90 to 100 mph) to generate 21% more Kinetic Energy at impact. That’s phenomenal. How did you accomplish that? Now you want another 10% increase (100 to 110 mph) which means another 21% energy increase. Do you think your body has the capacity to generate 21% more Kinetic Energy and without extensive conditioning and sport-specific training? I doubt there are any easy ‘golf tips’ that will do that for you. 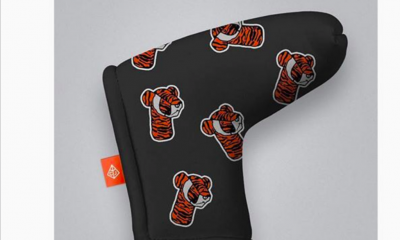 Can you expand a little on the “strong looking grip” specifically the relation of the clubface to the back of the lead hand? Hmmm, I could do an entire article on that because there are so many variables. Generally speaking, a strong grip would make your club face look “shut” at the top of the back swing (or at the point the club is parallel to the ground)…meaning the club face would not be squared up with back of the lead hand as is conventionally taught with a neutral looking grip setup. Rather, the club face would point more towards the sky at that point. The stronger the grip, the more it would likely point towards the sky. But even that is not a 100% thing because there are so many different ways to set up, so many different actions that could be made in the back swing, and so many things that could be done in the downswing. Click on my name in the main featured image and it will take you to my author page. Then go to the article “The 6 Actions of the Wrists and Forearms”. Hopefully that will give you a little more insight. 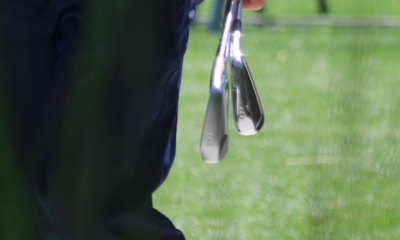 I guess my confusion was did you mean to actually employ a stronger grip or simply rotate your hands to a stronger position without changing where your grip is currently at on the club, making it where the club face was more open at address if you employ a neutral or slightly weak grip. In my case I have gonna very neutral with my grip because I feel I can really get through the ball without bringing a hook ob into play. Hehe, yeah, it can definitely get confusing with all the variables that one can interchange. Changing something in the setup can change both the back swing and downswing…or not. Keeping the same setup and doing something different in the backswing can effect the downswing…or not. And so on. I’m very consistent with a neutral grip and dead hands type swing. 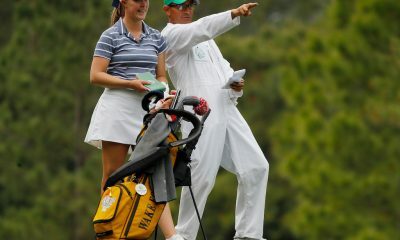 I’ve shot tournament rounds in the 60s that way. But I don’t get sufficient power on long courses. It’s not bad for short tight courses or short shots though. I can slap with my hands a bit without introducing rotation to pick up a bit more power while still hitting nicely for direction. I remember having a 69 at the Long Beach Open doing that. Neither of these I like how they “look”. But if scoring and function is the goal, one has to get over looks and just get it done. If I add rotation and cocking and un-cocking (the conventional golf swing), I get more power but lose tons of direction. I’ve never been able to play well doing this. I think I only broke 80 once like this…and that wasn’t even the back tees. If I go strong with my lead hand, I can use my hands a lot more for power. But doing that by just turning my lead hand can introduce a draw or hook. So it might need an open club face setup at impact or making sure I get the backswing and downswing moves grooved in the right way. But if I turn the lead hand from the shoulder socket, I don’t get as much of the draw or hook miss. Looking back at all of the different things I’ve tried, although it may not be the best way for everyone, I think this way gives me personally the best blend of accuracy and distance for the greatest amount of courses. There’s so much that can be done! So in that sense, when working with others, if I have someone who lacks power but hits the ball with a good tight dispersion and wants to keep that, I might look elsewhere other than the grip stuff we’re discussing to pick up power. It just depends on the person and their needs. I’d put equipment fitting as the easiest to implement, although even a good fitting can take time to adjust to, as the tool you are using is different. Second would be body training (coming in Part 3 of this series) as you still don’t have to change your swing for that and often times it you perform better with your existing swing from the attention you put in to your body. Third would be the technical type of stuff. Certain technical aspects aren’t too bad to adjust to. Others are more challenging. Or … maybe becoming a better player is a must to hitting it further. It’s both. Certainly as you improve your technique, you strike the ball better, etc…your distance goes up. 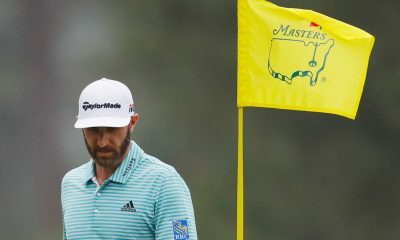 But at some point, even the most accurate technically-perfect player with the finest short game will be limited by how far they can go based on their power. 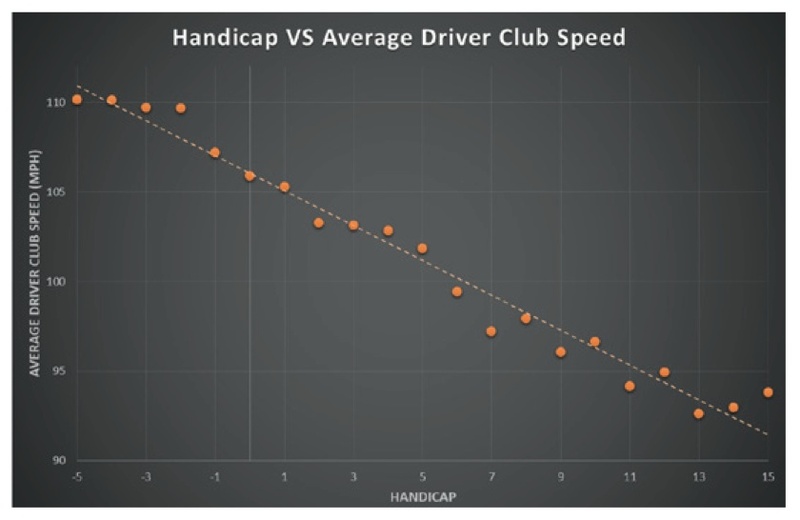 There’s a reason why the low end of club head speed on the PGA TOUR each year is typically around 105 mph. You simply can’t consistently compete over the entire season on tour length courses that average 7,250 yards with average club head speed that is less than that. Yes, but once you’re around 110mph you can compete, as plenty tour pros show every week. You are right, you can definitely be competitive at 110 provided you can support yourself by being sufficiently strong in other areas of the game. The range on the PGA TOUR each year is usually from about 105-125 mph with the tour average being about 113. I can tell you from personal experience that the game is a lot easier at 125 than 105, though. You can just get away with so much more and you don’t need to be as strong in the other areas to shoot the same scores. 125mph is a great asset. However, maybe your pursuit of speed was detrimental to your game? Maybe an optimum speed around 120mph would’ve served you better? Given a better combination of power and control? Anyhow, When the human body is capable of swinging a club at 130-140+mph, it’s interesting that so many of the tour are swinging well below that. I’m not sure if there’s another sport where the best players often operate at such a sub optimal level. In your experience, do you think that there’s something inherent that holds back super long hitters? Maybe the extreme lag/loading, or the other move we associate with long drive guys, just makes it too difficult to get tour level distance and trajectory control, especially with mid and short clubs? Or too difficult to control face and path. Or maybe, like you suggest, with all that power, you simply don’t have to develop or be as strong in other areas? maybe they get so side tracked into chasing speed and lose sight of playing golf? Interested to hear your thoughts. Looking forward to the rest of the series. I’m sceptical that club head speed can be significantly increased, especially not with compromising control and accuracy, but I’m hoping that you’re going to prove me wrong! I think the best way to increase club head speed is through swing speed training (which I’ll talk about in Part 3). In that sense, no technical changes are needed. You swing the same as you always have. However, your raise what you are capable of doing through physical training. Let’s say you max at 100 mph, but can control 95 mph. If you can get your max speed up to 120 mph, you’ll be able to control 114 mph. Similarly if you then work your way up to 140 mph, you’ll be able to control 133 mph. So raising your max raises your play speed. Plus, with the additional attention paid to your body and making it work better, I find that accuracy and ball-striking improve as well because the body has more strength, balance, etc. Long drivers aren’t on tour for a lot of reasons. There is motivation. The journeyman golfer life isn’t for everyone. It can be tough to keep going when you are in a slump, you are away from home and family, the weather is bad, etc. A lot is mental with things to overcome like fear of success, learning your true strengths, finding purpose is “just playing golf”, understanding how to play different golf courses, time management (getting practice in on the road, handling all your travel admin, etc), etc. Another aspect is money. A tour career is very expensive to pursue. Most long drive guys have full-time jobs and trying to work part-time and play part-time is just too hard when you have so many players who are fully supported. If you don’t have $100k/year lined up for you multiple years, it’s going to be very difficult to sustain long enough to break through. Asking someone, or even knowing someone, that is willing to part with that kind of money can be a challenge. Getting a sponsor for an event or two isn’t that bad, but you won’t get anywhere fast that way. I think guys on tour don’t swing that fast, in part because they don’t have the knowledge to do so, nor do the coaches and trainers. 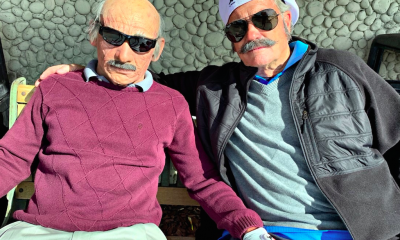 Golf fitness has certainly had a big boom this century, but the industry is still very young though. We’ve been getting consistently better distance outcomes at Swing Man Golf for years though, so that will change as the education continues to get out there. The days of a power tour player averaging 350 instead of 315 are not that far off. Thanks for the reply Jacob, I appreciate that I threw a lot of questions at you in one go there! Good stuff and thanks for sharing. I’ll look forward to the next instalments as I’ve suspected that specialist speed training is the best/only way to significantly crank up speed. On why super long hitters haven’t broken through on tour, I’d say the expense, hassles and pressures of making the journey to the elite level is the same for any regular guy (I.e. Anyone without serious money funding them) regardless of their club head speed-so not sure that’s the reason. I just wonder if there’s a point, maybe around 130mph+, where the technique developed to achieve that speed just doesn’t square with achieving tour level consistency and control. Good stuff Jaacob and look forward to the rest of the series. 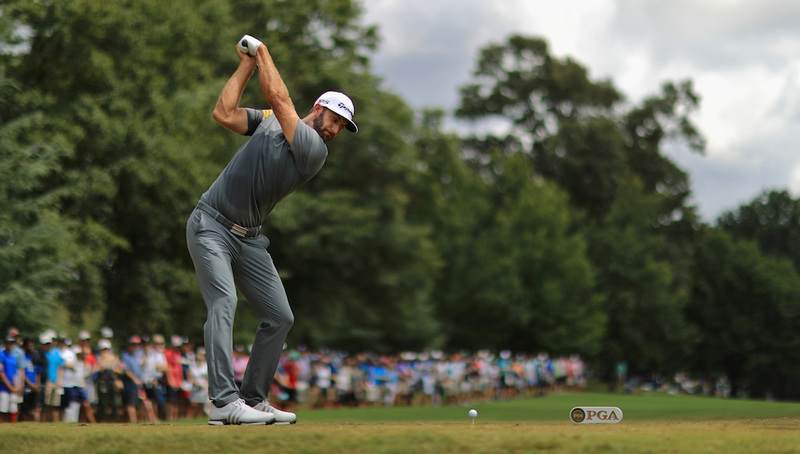 Easy to follow and lots of good advice: a body friendly stance, a stronger grip, letting the hips turn on the way back, and allowing the hands to work through impact. However, I’d question your deduction that “..more distance is a must in order to become a better player”. I’d say there are lots of ways to get better, without adding any distance. Indeed a player may even score better swinging at 85-90%, losing a little distance, but keeping their shots in play more often. 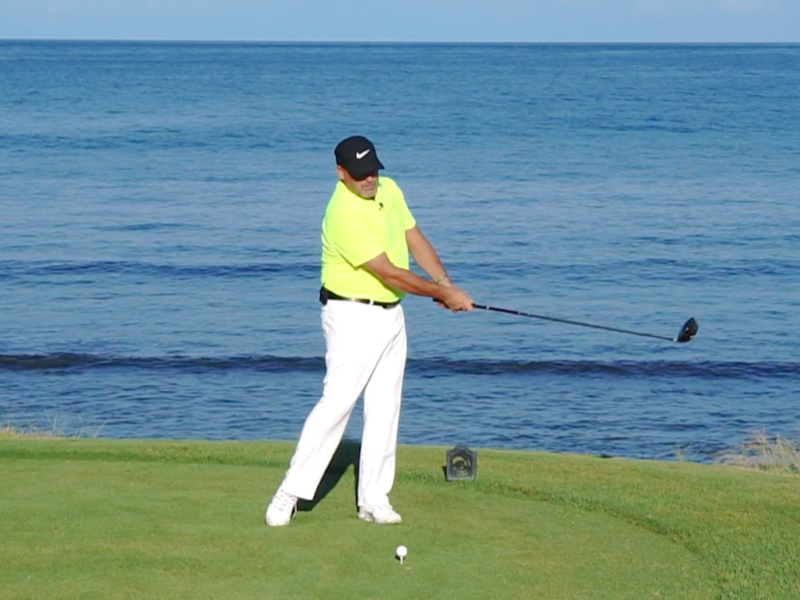 More distance is only a must if you’re aim is to become better at long driving contests. More distance may help you become a better player. I’d agree there are lots of ways to get better without adding distance. Those numbers above are just averages. So there are definitely ranges and exceptions. However, the general correlation still exists. As a “generalization” of “all” golfers, better players are longer and straighter from tee to green. You mentioned the 85-90%. Interestingly, I’ve actually tested that to see where the tipping point is located. In my observation, golfers can typically go up to 92-95% (I’ve had one guy at 97%) of their max before they start losing control. In long drive, in most cases you want to red line it…there’s only a handful who are fast enough to back off on speed and still advance through early rounds. But in golf, it’s smart to stay below your personal threshold, to keep it in play as you mentioned. 85-90% is certainly under that. But 92-95% is a bit closer to the actual line. Thanks for the reply. I wasn’t wanting to be pedantic as I get the general correlation. However, as the graph shows, it does tend to flatline a little once around the 110-115mph mark-where most elite players are. Certainly you get into a diminishing marginal returns situation after that. Yet I’ve heard so many golfers who swing +- 2 or3 mph off tour average who reckon that to aspire to that level that they need to get more power, when the reality is that it’s often the least of their worries. And for higher handicappers, a bit of short game work and some smarter course management is often going to be a much easier and quicker way to score lower. I agree that for the higher handicappers the short game and smart course management, plus better putting will lower scores. In fact, most recreational golfers shouldn’t even bag a driver because in all likelihood they will never master the driver due to it’s long shaft and low loft. Any slight deviation within the driver swing and the error is magnified at impact. Furthermore, slow swing speed (below 90 mph) will cause a “distance compression” in the longer clubs, where a 3 wood will be longer and straighter than the driver and the spread between long clubs is much less than the usual 10-12 yards. The reality is that a slow swing speed is vulnerable to body glitches caused by big muscle inconsistency. Also the ball is not compressed adequately to derive proper performance with the driver no matter how fancy it is. 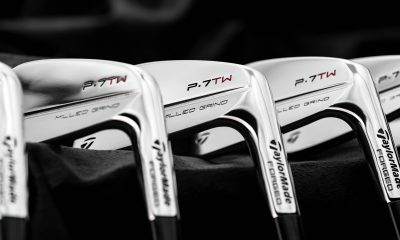 A set consisting of a 3-wood, 7-wood, 4 hybrid, 6-9 irons and a couple of wedges is usually optimal. Master 10 clubs and you have a decent sub-bogey game. 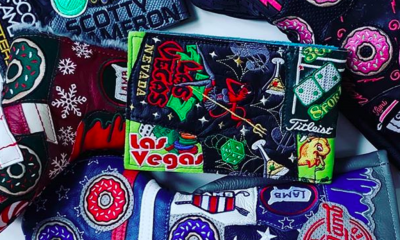 A full 14 club bag is for sub-10 handicappers and club lovers. That’s the reality. The driver is the main cause of high scores for low swing speed golfers trying to look and play macho golf. I watched a long drive competition, and very few drives actually stay in bounds. That’s a bit scary on a real fairway. I see lots of college and high school golfers who’d be top 10% on the PGA tour in swing speed and driving distance, but the consistent accuracy is not there. i agree. there’s also a reason why long drive pros are not winning on the pga tour. I would say there are many reasons why long drive pros are not winning on the PGA TOUR. Some of it is knowledge. Most tour players (and golfers in general) don’t really know how to train to hit the ball far like a professional long driver. 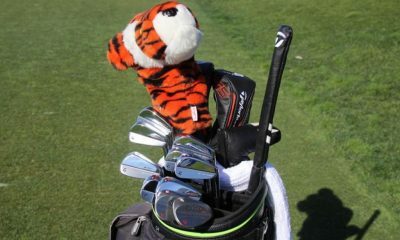 As a tour player, you also want to be careful about breaking anything that got you on tour. Technical changes are perhaps the most dangerous. Equipment changes aren’t as bad. There’s lots of players who are required to play the latest stuff as part of their paid contracts. Body changes I think are reasonably safe, but you even with those you have to really monitor your distances to make sure you keep hitting your approaches close. Part of it is funding. Pursuing a tournament career is very expensive. You are basically an independent contractor and have to cover all your own expenses. So if you play a 25 event schedule, that’s a lot of cost for hotels, car rentals, flights, entry fees, etc…not to mention your basic cost of living. You really need $100-120k/year to cover all that and live decently. Add in that most golfers, even top tour players, go through cycles of how well they play. If you have an off week during one of the stages of Q-School, it’s another year before you can go again. To do it responsibly, you really need to be fully backed for a minimum of several years. A large OEM might only help out a few players who had elite amateur careers. So for the majority, it’s left up to personal savings, family support, small business help, etc. Trying to work part-time and compete part-time (most long drive guys have full-time jobs) is challenging when there’s no shortage of fully backed players. It also doesn’t help that the mini tour purses are smaller and top loaded. In a full 154 man field, only the top 20 might cover their expenses for the week for a 3rd level tour. There are other reasons as well. It’s complicated. 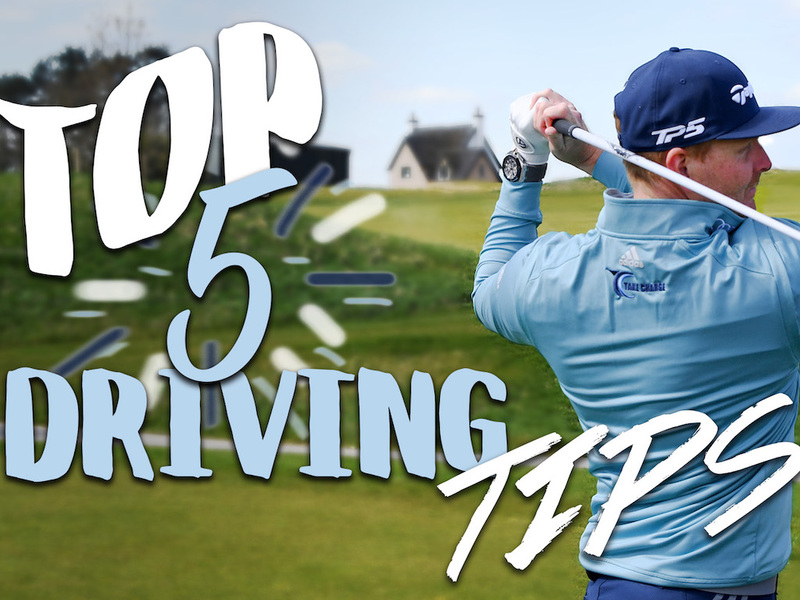 But I don’t think it will be long though before we see a professional long driver break through as a player…or a tour player start understanding how to train from a golf fitness standpoint (more about that in Part 3 of this series) to hit the ball as far as a long driver. Keep in mind the differences in the goals of long drive and golf. In the long drive competitions, you typically get 8 balls to get one in the grid…and it’s not uncommon to advance or be eliminated by just a single yard. So the risk can be worth it to swing 100% at a ball because all it takes is one good one. If you put long drivers in a golf situation, they are often actually surprisingly good players because the par 5s are basically par 4s and you get a lot of wedges on par 4s. 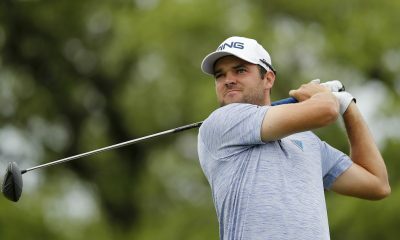 Jason Zuback played the Canadian Tour, Sean Fister has played as a plus handicap golfer, Jamie Sadlowski has made cuts in Web.com events, etc. 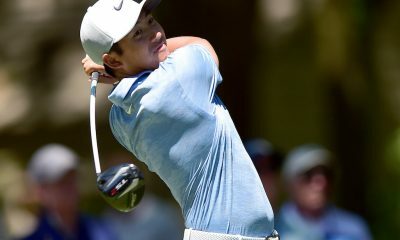 If you can swing in the mid 140s or even 150 mph in long drive but then back off to 130 or 135 mph on a golf course to keep the ball in play, you have a big advantage…not to mention you could hit a 2-iron off the tee to keep the ball in play while others guys would hit driver. I agree that there are lots of college and high school golfers who are long hitters but don’t have the consistent accuracy. Some of that could also be underdeveloped course management skills, ego control, lack of discipline, lack of experience, etc. But I’d definitely take the distance over not having the distance. I’ve played mini tour events swinging in the high 120s and also ones around 105. Even given the same dispersion percentages, being a long hitter makes the game much easier. On the upper end, I remember almost always having an iron in to par 5s. On the lower end, I’d be lucky to reach a lot of par 5s with 3-wood. You can teach someone to be accurate who hits it a mile. You can’t teach someone who is accurate to hit it a mile. You are seeing a bunch of junior teachers preaching distance techniques first then dialing in accuracy later. Bingo. It’s also tough to focus on both at the same time. Speed/distance and control/accuracy are diametrically opposed. What I’ve found is that it is pretty difficult to realize your true maximum swing-speed potential if you never harnessed it, especially during your early years. For example, if you’ve only ever swung at 75% output, that extra 25% has never been tapped into and eventually, as you get older, that 75% becomes your 100%. If you’re constantly training yourself to move at submaximal velocity, that’s exactly how you’re going to move. So basically, to swing as fast as possible, you have to practice swinging as fast as possible and the earlier you do, the higher your ceiling for maximum swing-speed. There are a lot of hockey and baseball players that grow up constantly swinging as hard as possible and they can hammer a golf ball because of it. Conversely, until recently, a lot of young golfers have been taught to swing “smooth” or “easy” and although more accurate, they have a more difficult time unlocking their true swing-speed potential… especially once they’re older. So I definitely agree, it makes a lot of sense to work on maximum swing-speed first, especially at a young age. This way, you will have learned what true 100% output is and you will always have the option of tapping into it or dialing it back to 75% for better accuracy. All true. The equipment being used has a lot to do with this. The ball used to go sideways in a hurry when playing real woods and balata balls. The priority used to be to first control the ball and then add distance. Today’s equipment makes it much easier to hit a straight shot (A good player I know bought new irons for the first time in 20 years and was dismayed by how difficult it was for him to “work” the ball). Junior golfers must be having fun learning distance before direction! But always swinging ‘full out’ by children can be injurious to young growing bodies. My family doctor warned against repetitive stress and resulting strain injuries in young children because it can adversely affect their growth patterns that will haunt them in the future. Not for my children. Look at what the golf swing has done to Tiger Woods back and spine. He’s a crock with chronic injury pain for the rest of his life. Fair point but they don’t have to always swing full out. Nothing wrong with getting on a proper mobility and strength program and swinging full out once or twice a week for 20 swings though. It doesn’t take a lot.